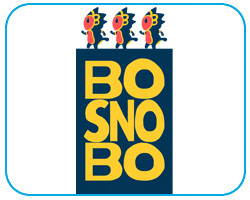 In a frigid snowy wasteland in another world, lives a unique creature, the bosnobo. Faced with the icy cold and dangerous predators, they must learn how to survive. Thanks to their unique intelligence, they are capable of learning skills and behaviors from one another. You are tasked with guiding their learning and directing their behaviors to help them survive against all odds. In Bosnobo: Primate Change, your bosnobos are thinking agents capable of learning from each other. Learning can be a random process, or forced by assigning a bosnobo as a teacher. By controlling the learning of your bosnobos and the priority in which they perform behaviors, all sorts of interesting outcomes could emerge, allowing for a wide variety of player strategies. 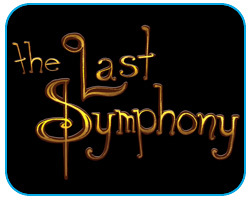 The Last Symphony is a hidden object game set in mid-1960s England. The player is a museum curator tasked with the creation of an exhibit about R. Carmine, a composer from your city with an unusual past. By collecting and learning about the objects, players will reveal the stories making up the lives of musical siblings Ruth and Robert Carmine. All is hidden in plain sight: objects, people, music. The player has to look and listen attentively. By finding the objects, one also reveals the stories of the people who owned them and the reveals the melodies that go with them. 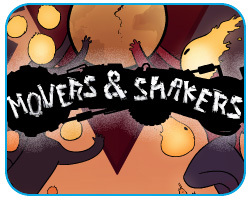 The Movers & Shakers is a two player tablet game that aims to create meaningful conflict between its players. 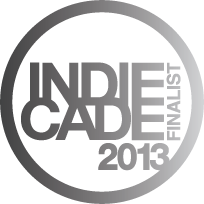 Each player controls lava sprites in the earth's core which are in charge of turning the world. Both players have individual goals in the game. These goals are unique to each player and the game emphasizes it. Players will play the game pushing for their own goal, which if played well will cause the world to spin too fast. 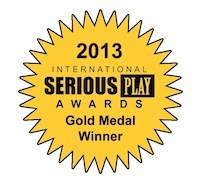 When the world spins too fast, at this crucial moment the game will hint about communication to the players. Players will learn that communication is key and that pushing for their own goal is not the way to achieving the main objective, the common goal. Which is visible from the beginning of the game. In fact, they will have to learn that the way to win would be to sacrifice their own individual goals to achieve something greater. Verbal communication is a key component to the game, allowing players to do better the more they speak to one another. 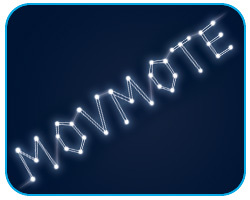 Movmote is a single-player game where the player controls a moving object by slowing it down and changing its movement paths. The simple control mechanics allow new players to pick up the game easily. Instructions were deliberately excluded from the game to encourage exploration from the players. In addition, the visual and sound feedback are carefully designed to provide different experiences for players during different play-throughs. Play the game, Imagine every possibility and let your mind Explore the world of Movmote. 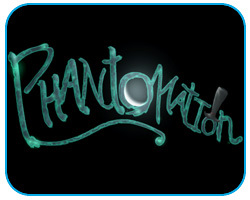 In the haunted world of Phantomation you play as a phantom trying to use your powers to save someone in an abandoned mansion. Evil spirits inside the mansion are waiting to scare the unwelcome visitor to death. The animation tools allow you to possess objects and scare the living safely through the mansion and away from the spirits lurking behind dangerous doors. Throughout the sixteen levels of the game, you will learn different animation techniques such as key framing and real time animation in order to possess objects. In the main levels, it is entirely up to the player whether they animate with key frames or real time animation techniques based on their preferences. 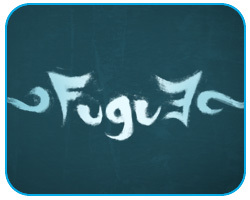 Each level becomes more complicated, putting players animation and timing skills to the test.